Login information (user ID is an email address). Only if you are not logged in yet. Join as a members or as a guest? Only the creator and administrators can invite new members. Action buttons are green, at the bottom or the right side of the frame. Fill up the Create Team form. 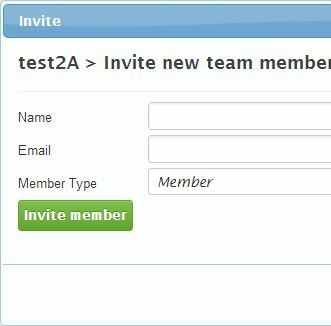 When you are done, Click on “Invite Member” to complete the process.